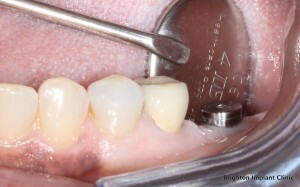 Implant Dentistry is a highly skilled profession that dental implantologists uphold with extensive experience in the field and continual education in the most recent techniques. Since most dentists offer a range of treatments, it is important to find out if your dentist regularly inserts dental implants and if they are an expert in that area. This way, you will be sure to get the best possible dentist implant treatment available in your area. Selecting the most-qualified implant dentist around is the most important decision you will make before having your teeth restored. It may be a bit overwhelming, but you should find out everything you can about the oral surgeon performing your dentist implant and their experience before you proceed. This will result in the highest quality dental implant treatment care for you and will guarantee the ultimate success of your implant. The best advice for potential implant patients is to do your homework. Even if takes some of your time, it will prove worthy, because it will ensure you get the best possible dental implant treatment. One should look several factors while conducting research on dental treatments, dental implant clinics and surgeons. 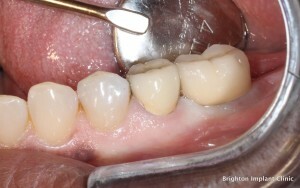 The cost of a dentist implant at Brighton Implant Clinic is only £995 per dental implant. This price includes the cost of the implant itself, the abutment and the final porcelain crown. The surgeons at Brighton Implant Clinic are highly skilled and experienced in dental implant surgery. 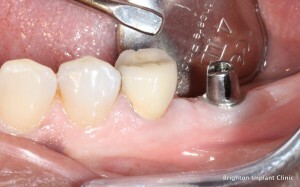 Combined they have placed thousands of dental implants successfully. In addition to this experience the surgeons continuously further their studies with courses and lectures both nationally and internationally.